Here's a look at select pages designed for the Ambra Health website. This project included, layout, typography & data visualization design. 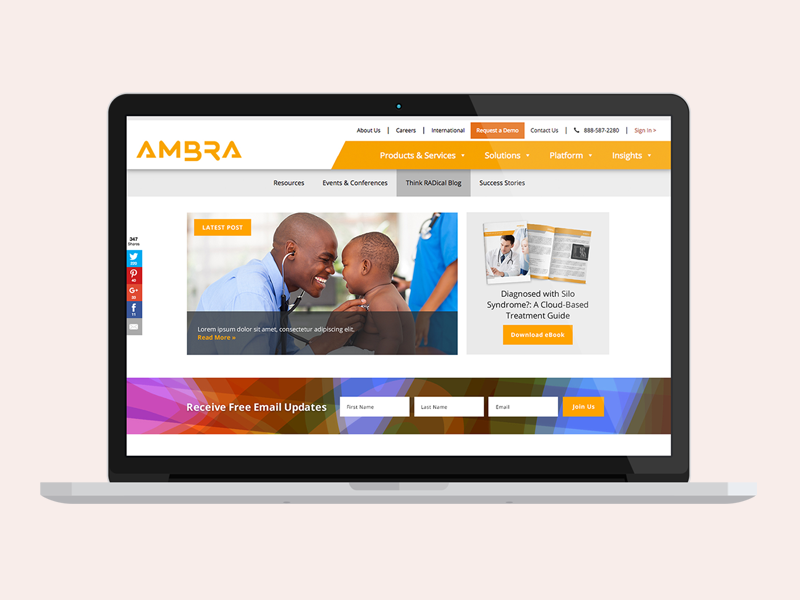 Ambra provides their clients and customers with helpful resources such as ebooks, case studies and executive briefs. I help Ambra with their digital & print materials for a consistent, streamlined brand identity across their many marketing channels.